The Herman & Walter Samuelson Children’s Hospital at Sinai offers a full range of pediatric specialty services for patients from birth to young adulthood, supporting area pediatricians with the most comprehensive care of any academic community hospital in Maryland. From general pediatric medicine to expert care in specialties such as cancer, neurologic disorders, bowel disease and diabetes, the Samuelson Children's Hospital delivers individualized care focused on the family and patient. Please join our monthly giving club, Helping Hands, and have a lasting impact on the lives of our small patients and their loved ones. $10 a month provides a meal or transportation support for families that need assistance getting to and from medical appointments. $25 a month provides monthly celebrations in the hospital (examples: birthday parties or holiday celebrations). $50 a month provides a pediatric wheelchair. Click here to join. 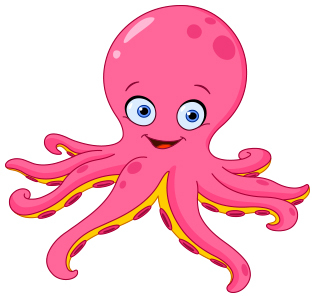 Olivia, the octopus, and our kids are counting on you.